Towing is (or should be) simple. Or at least the philosophy behind it. Don’t get us wrong, the profession of towing does require a deep understanding and knowledge of the respective area, but in raw theory, towing should be pretty simple. The company gets a call, the driver hurries to the scene with the tow truck and tows the broken down vehicle to the nearest mechanic. Case closed. However, life has its own mysterious ways to complicate even the simplest things. Sometimes, driving a tow truck and towing cars can get pretty weird. Not convinced? Give these 5 strange roadside assistance stories a read and think again! A gentleman’s car broke down on the freeway. He knew that help would take a little time to arrive, so he decided to give the engine a look. He was pretty confident in doing so since – by his recollection – he has red a few DIY books on the basics auto mechanics. As it turned out, the knowledge he’s gathered wasn’t enough and managed to make a bad situation worse. The case culminated when he realized he locked himself out of the vehicle leaving the keys in the ignition. To top all that off, he was stranded near a desert area while the weather was pretty hot. About 100-ish. Ouch! Engines and cars are built with an eye to detail. Otherwise, these delicately fine-tuned contraptions wouldn’t be deemed safe for everyday use. However, things may still go haywire. Take this story from France for instance. A gentleman was driving along the French coast with his Renault, at a reasonable 60 mph. All of a sudden, the car started to gain speed and gradually sped up to 125 mph and got stuck there, with the braking system going awry. The gentleman called the police, who cleared the road and contacted professionals from Renault, who advised the driver what to do, with no results. Long story short, the raging car stopped after a 100-mile speed run when it finally ran out of gas. A video has gone viral about a car owner who went berserk when he noticed that a tow truck driver was trying to repossess his car, that has been left parked on the street due to non-payment. This is what we were talking about. Simple. You go to the scene, get the car hooked and tow it to its destination. However, it’s not smooth sailing when the angry owner jumps on the tow truck with a crowbar attempting to stop you from doing your job. Long story short, the police finally stopped the tow truck and questioned to two gentlemen. Sometimes, it’s not the vehicle owners. Sometimes it’s us. Although this would never happen with Phoenix Towing! There are several accounts when the car stops, the owner calls the towing service, they arrive at the scene, hook the car up, ignite the truck’s engine and… the front bumper of the car starts living a life of its own, leaving with the tow truck. This is more of a reminder for all of us tow truck drivers. Double check how you hooked up the car. ALWAYS. 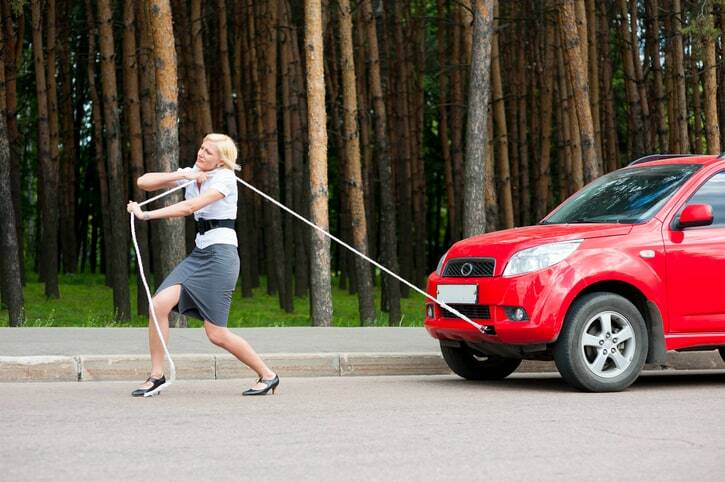 If you want to avoid similar problems give us a call, for the best towing prices and for professional assistance! You can’t go wrong with Phoenix Towing!